"Helping people gives me a sense of accomplishment. And here at David J. Winterton & Associates I get a lot accomplished. We have the best clients ever!" Autumn comes to us from the fellow western state of Colorado. 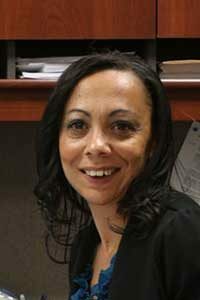 She is a dynamic certified paralegal who assists Mr. Winterton in helping our clients to keep expenses at a minimum. She is highly talented and has over 16 years of experience delivering exceptional client and customer service. The first time you talk with her on the phone, or visit with her in our office, you will immediately feel at ease. She shows every client the utmost compassion and respect. Her first goal is to make sure that our clients are kept informed of their cases and help them with any questions they may have. Every law office knows that to be successful they need a highly qualified paralegal on their staff. Autumn meets that criteria and more. Assisting our clients achieve the most favorable resolution to their legal issues is Autumn’s top priority. When our clients win, we win! And that includes each and every one of us here at David J. Winterton & Associates. Autumn loves Las Vegas and especially appreciates the short driving distance to California where her daughter is enrolled in college. Besides enjoying gardening and arts & crafts, Autumn can be found enjoying the Las Vegas weather while walking her two dogs.